Q: If I obtained a divorce through matrimonial proceedings in a different country, is it still possible for me to apply to the Singapore Family Justice Court for financial relief? A: Yes, you can, if you meet the statutory requirements. The same applies if you obtained a judicial separation or annulment overseas. In the past, the Singapore court’s power to divide matrimonial assets was linked to its matrimonial jurisdiction to grant divorce, meaning that only parties who had divorced locally could apply for financial relief. However, in 2011 the Women’s Charter was amended so that the court now has jurisdiction to grant financial relief even over foreign divorces. Should you find yourself in one of the following situations, our divorce lawyers at Gloria-James Civetta & Co can advise and assist you in filing an application under section 121B of the Women’s Charter. A foreign court has granted your divorce, but no orders for financial relief were made. A foreign court has granted your divorce and has already issued orders for financial relief. First, parties must satisfy the jurisdictional basis in section 121C. Either you or the other party to your divorce must have been domiciled in Singapore on the date that you apply for leave (more below) or the date when the divorce took place. Second, you must take out an application for leave in accordance with section 121D. The court will not grant leave unless it finds that there is ‘substantial ground’ for making such an application. This will be determined by assessing the applicant’s prospects of success. What counts as ‘substantial ground’? In the case of Harjit Kaur d/o Kulwant Singh v Saroop Singh a/l Amar Singh  4 SLR 1216, a Malaysian court had previously issued financial relief orders concerning the sale and division of proceeds of the couple’s HDB property in Singapore. The wife later filed an application under s 121B to have the sale proceeds divided by the Singapore court. However, the Singapore court found that the Malaysian orders were not inadequate or unfair, and therefore there was no ‘substantial ground’ on which leave should be granted. The court stated that the applicant must show a ‘solid’ or ‘substantial’ case, which is stronger than a mere ‘good arguable case’ or a ‘serious issue’. But a ‘solid’ case does not need to be one with over 50% chance of success. Even if there is a substantial or solid case to be made out, the court will consider all the circumstances before deciding whether to grant leave. For instance, where no foreign orders were made for financial relief, the court may refuse leave where it might provide a party with an additional advantage rather than mitigating a disadvantage. After all, there can be many reasons why the foreign court did not grant financial relief – such as where the parties had a prenuptial agreement that would have been upheld in the overseas jurisdiction, and the applicant is now trying to get out of it by applying for leave in Singapore. Where foreign orders have already been issued, the Singapore courts are wary of making orders that allow parties to get a ‘second bite of the cherry’ by effectively re-litigating the same case. Another concern is that litigants may attempt to use s 121B as a means of ‘forum shopping’ in search of a better outcome. However, relief may be granted where the original award was inadequate. An application for leave under s 121D must be made in accordance with the Family Justice Rules 2014, by way of an Originating Summons accompanied by a supporting affidavit. 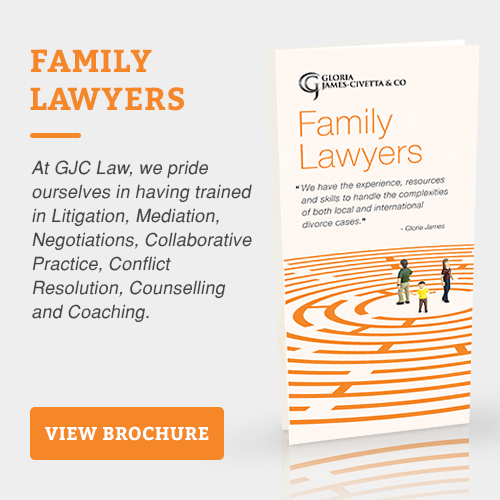 At Gloria James-Civetta & Co, our lawyers can help you navigate each step of the process. Third, it must be appropriate for a Singapore court to make an order for financial relief. 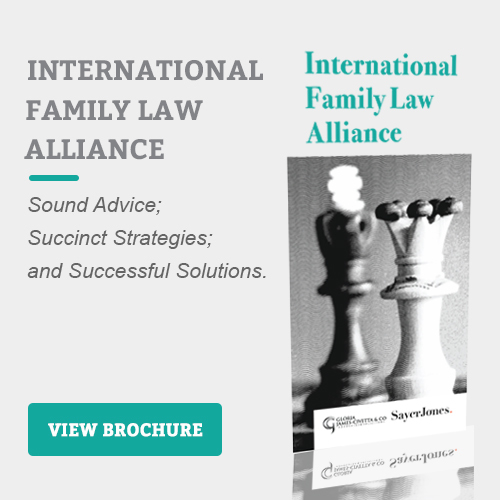 The court will consider the factors set out in s.121F, including the parties’ connection to Singapore and any other foreign countries, as well as the financial benefits that the applicant and any child of the marriage has received under foreign law. If the court concludes that Singapore is not the appropriate forum for this matter, it may dismiss the application. If the above conditions are fulfilled, the court may make any financial orders it sees fit under s.121G, with the same options available to it as if the marriage had been terminated in Singapore. Is a Foreign Financial Relief Order Recognized in Singapore? Forum Shopping: Can Non-Singaporeans file for a Divorce in Singapore?